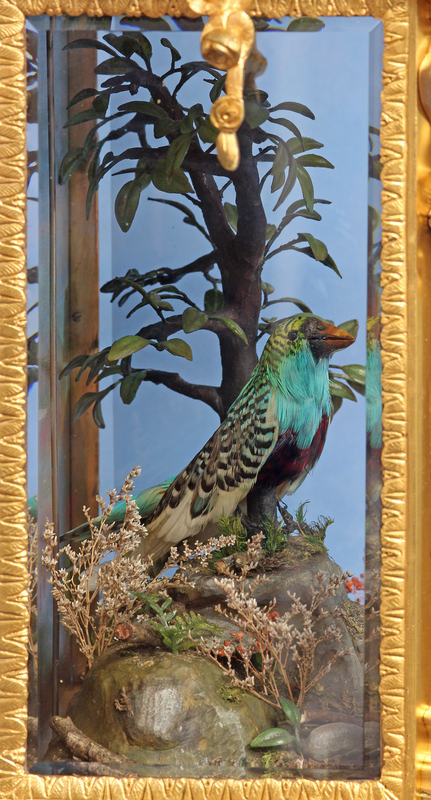 A rare French champlevee mounted gilt-bronze animated singing bird clock. 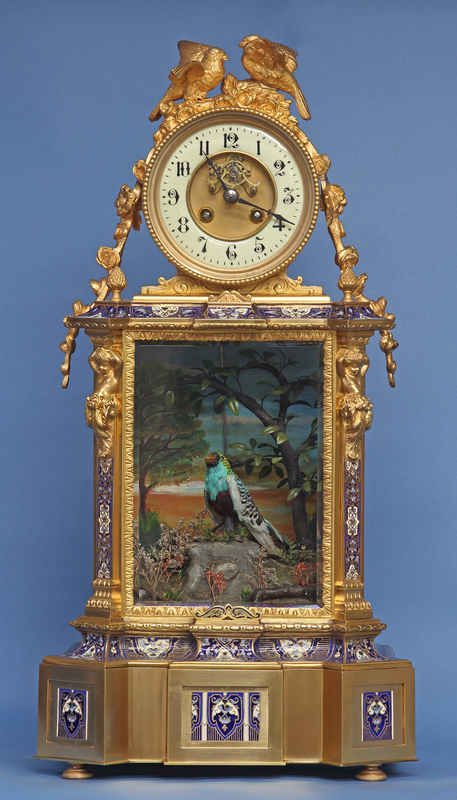 The colorful bird set within a naturalistic landscape sings part of a song every hour for a full day when activated by the clock or continually when activated manually. 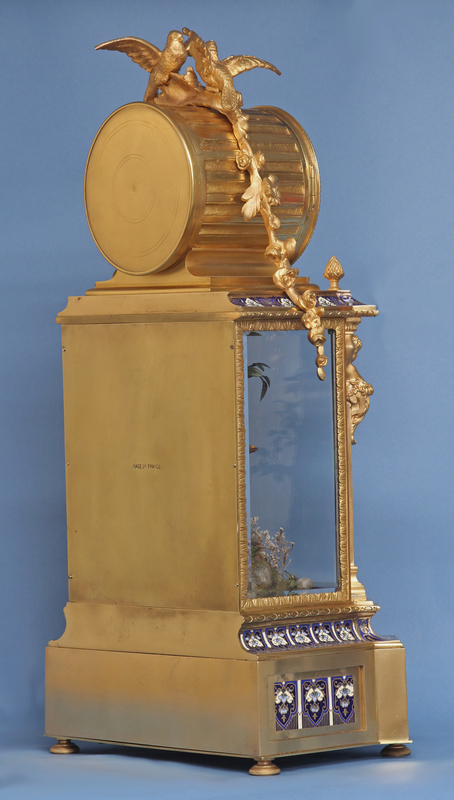 The elaborate gilt-bronze case with well-executed polychrome champlevee has canted corners, caryatids, a long garland surmounted by two doves set above and is stamped ‘Made In France’ on the back. 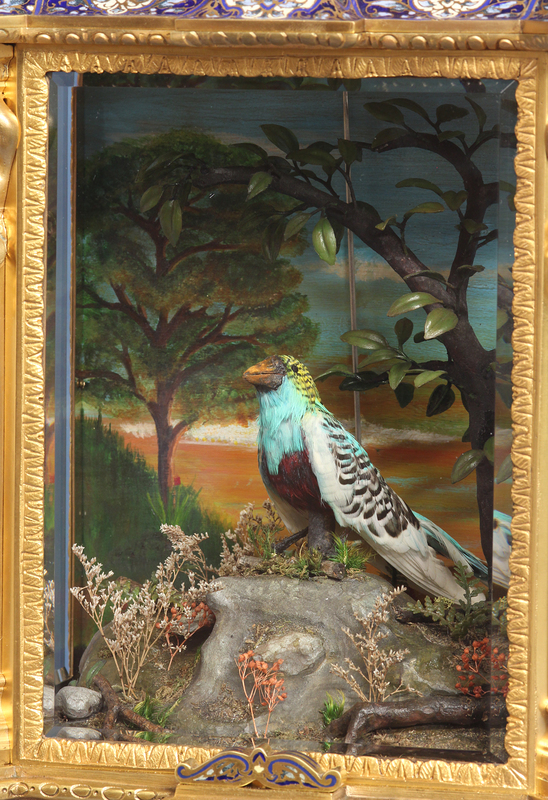 The animated bird is set within a naturalistic rockwork scene backed by a painted landscape and viewed through three thick beveled glasses. 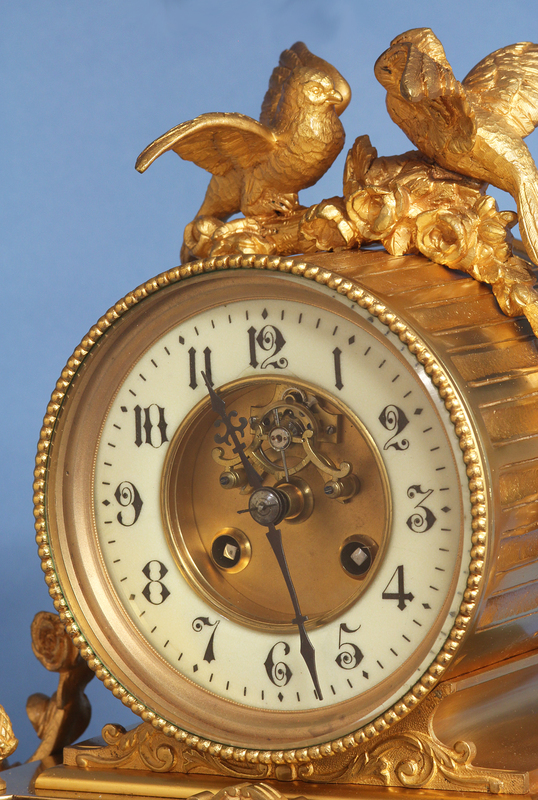 The cream colored chapter ring porcelain dial has black Arabic numbers for the hours, steel-cut hands and a sunken gilt-bronze center that features an elaborately designed vertically mounted lever escapement with a steel fast/slow lever. 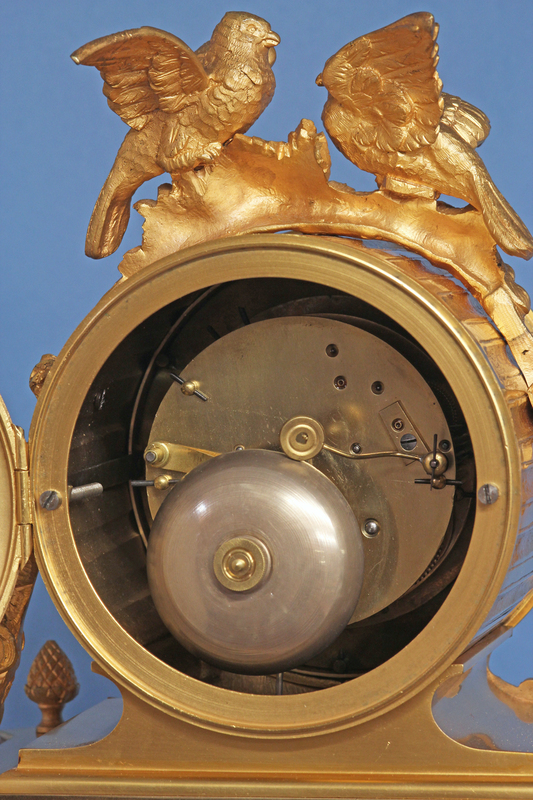 The time and strike movement is stamped ‘2348’, strikes on a bell and activates the bird animation movement via a rod routed down the back of the case one minute after each hour. 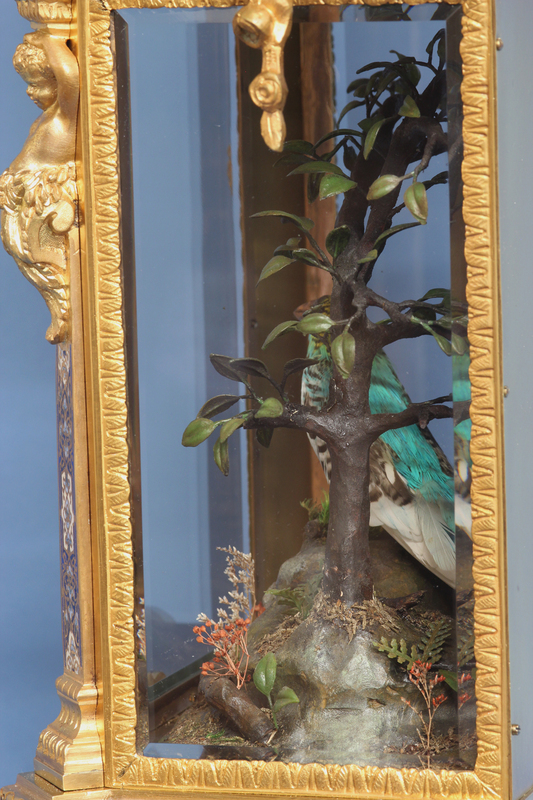 The bird animation movement is housed in the base, has two songs on multiple cams, is wound out the side and is controlled by a three-position lever. 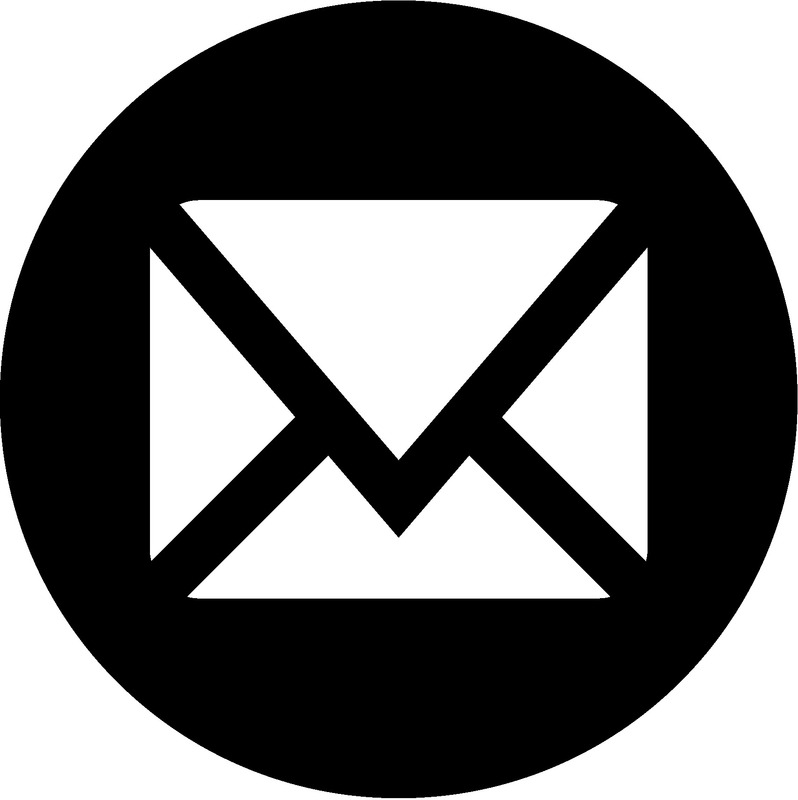 When manually activated the bird continually sings through two songs while moving its beak, flapping its tail feathers and rotating its head. 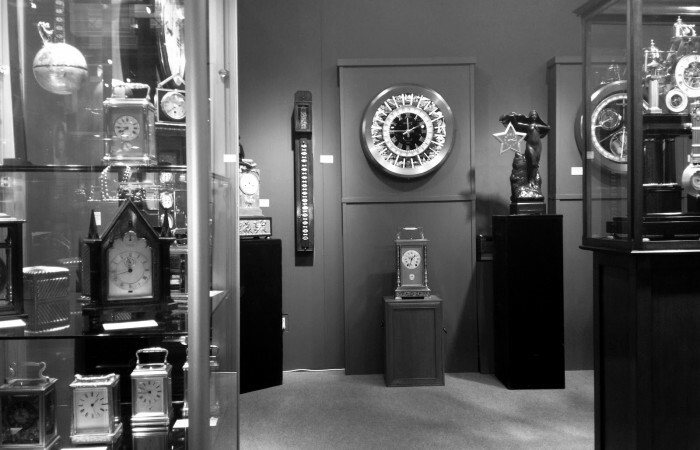 When activated by the clock it does the same animation while singing a short section of the songs every hour for an entire day. 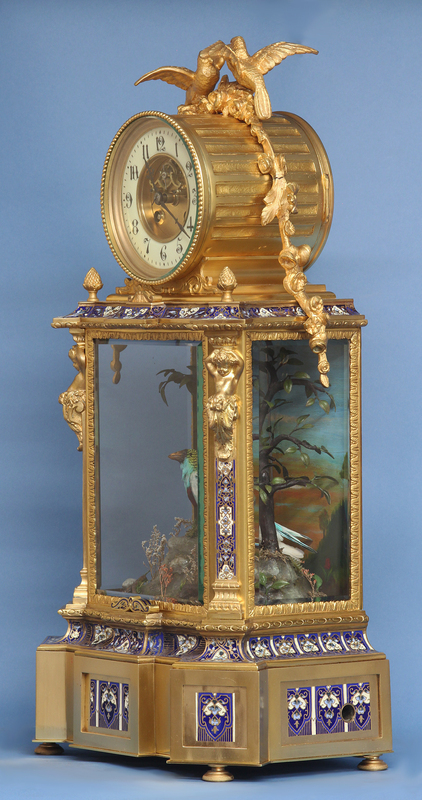 For an animated bird clock in a similarly designed case see: ‘Mystery, Novelty & Fantasy Clocks’ by Derek Roberts, pg. 216. Size: 21.5 in. x 11.25 in.